View PCL Files with a free viewer. Open any PCL file on your Winodws pc without paying for any special app! No ads, no paid upgrades! View PDF files fast. Get the thumbnails of all your .pdf documents and go full-screen whenever you want. It's absolutely free, no tricks. 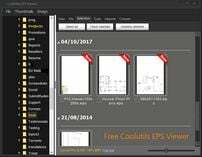 View EPS Files with a free Coolutils viewer. Clean easy-to-use interface, no ads! Download and try right now. Powerful freeware photo viewer. View, copy, move, rename, resize your photos for free. It should have come with your camera! View PST and OST files without Outlook for free. Open emails, sort themby sender or date, generate reports or save as EML files! True freeware, no ads, no tricks. View MSG and EML files outside any email client. 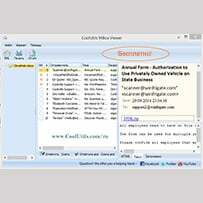 Use free CoolUtils Mail Viewer to open .msg or .eml files, print them, generate a fact file related to your emails. Can't open MBOX? View MBOX Files with a free Coolutils MBOX viewer. It can also print selected emails out or save them as EML. No ads, no paid upgrades, freeware. Download a free XML viewer from Coolutils to view XML files. No ads inside, true freeware! View OLM Files with a free viewer. Download and open OLM right now, no paid offers inside.